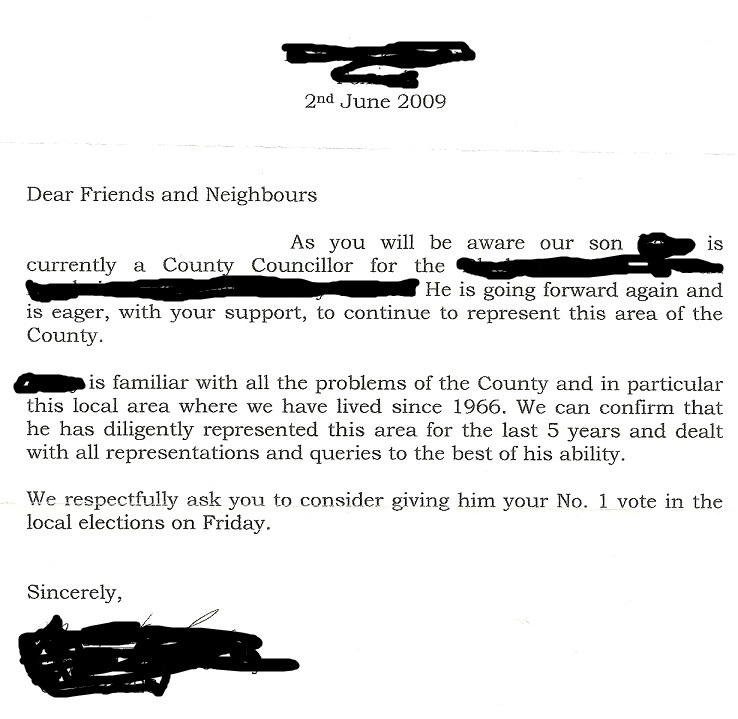 From 2009 a letter from a candidates parents to neighbours asking for a vote. (I’ve redacted the letter to not identify the candidate or parents). I’ve a couple of different examples of these, so it’s not unusual. The candidate lost their seat. From the 2009 Local Elections a canvass card from Malcolm Byrne of Fianna Fail who was running for a seat on Gorey Town Council and a seat on Wexford County Council. He was elected to both, topping the poll in the Town Council election. A leaflet from Fine Gael attacking Budget 2009 and giving Fine Gaels alternative proposals . Interestingly too it contains a “Message From Enda” , which is something unusual. 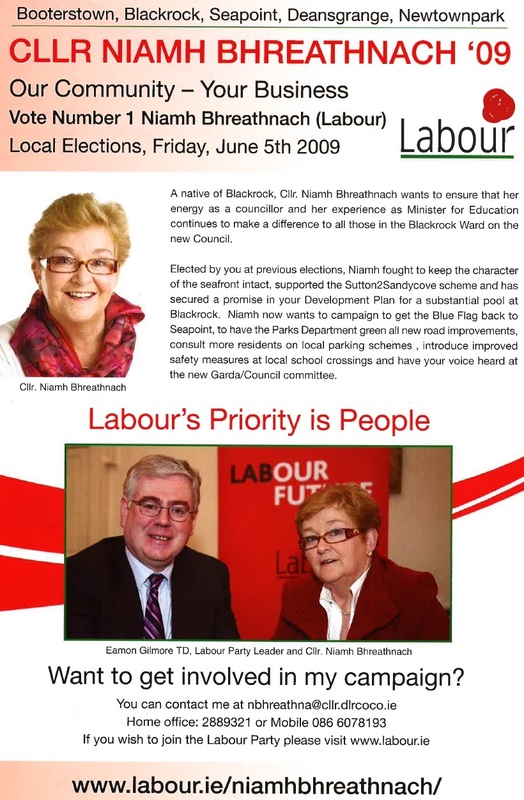 From the 2009 Local Elections a leaflet from Labour Party Councillor, and former TD and Minister, Niamh Bhreathnach who was running in the Blackrock Ward. She polled 1,782 votes and was elected on the 5th count.